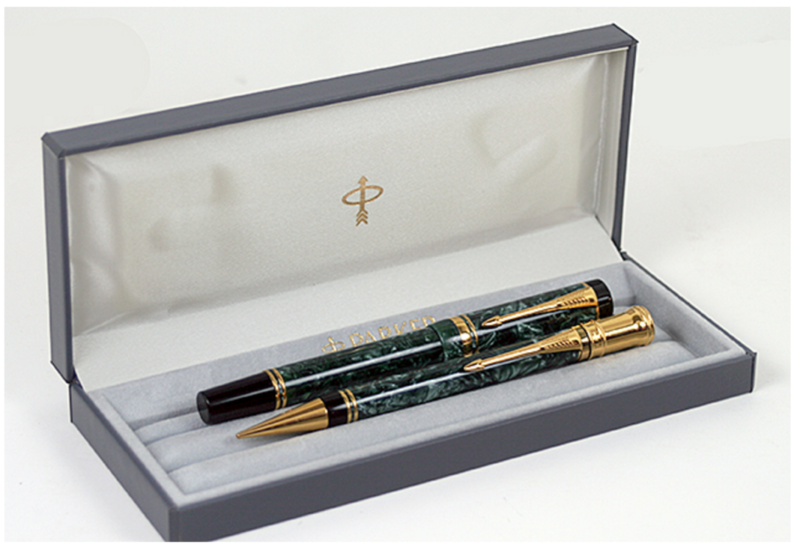 This 1991 Parker Duofold International Roller Ball andPencil set in Green Marble. The Green Marble is a rare color, first provided for sale exclusively for Duofolds to be sold by American Express. The trim is gold plated. New-old-stock. Mint in original box with outer box and papers. Refill included. Items #106 and #107 in Catalog #77.